Tigersharks are one of the most sought after and rarest land-based shark fishing targets. These fish are literally not scared of a thing and their whole demeanor reflects it. If you are targeting tiger sharks beef up everything when it comes to your tackle. These sharks are not hard to ID, like a tiger they have large stripes and their face is a lot squarer than most sharks. Their teeth have a unique shaped made to tear through pretty much anything. For this shark you want to use single strand wire because it is a lot harder than cable. 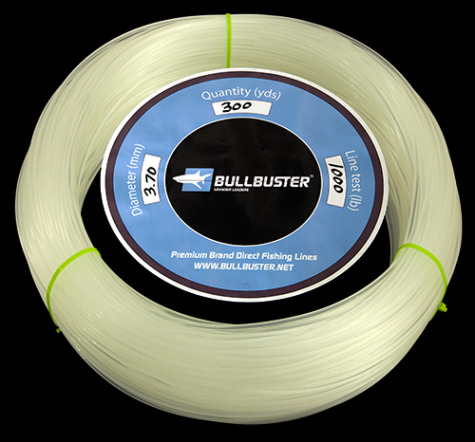 125Lb -300Lb monofilament top shot with 130-200Lb braided backing. Like we mentioned earlier, these fish really are not scared of a thing and their fight style reflects it. They are strong when they want to be, but will sometimes swim as if they don’t even know they are hooked. They may come all the way in toward the beach and then head 400-500 yards offshore. They usually swim slowly and deliberately.